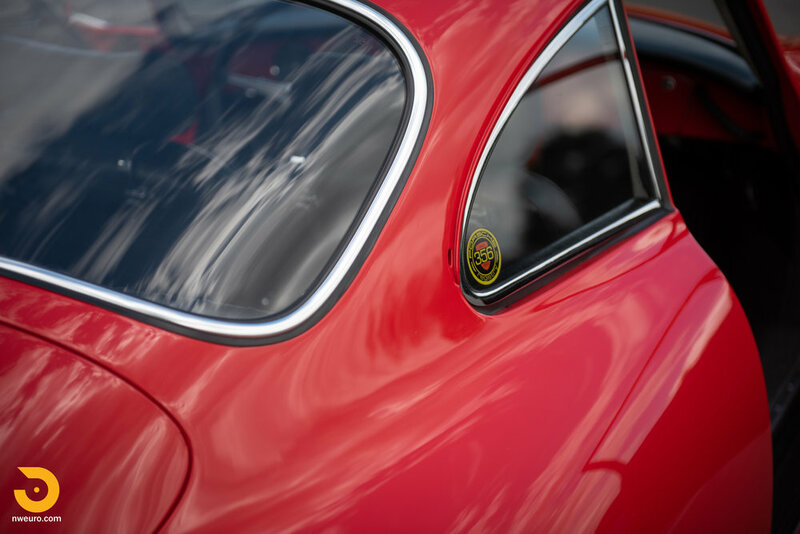 The Porsche 356 is iconic amongst many collectors, as it was Porsche’s first series production automobile. Construction of the first cars began in 1948 in Gmund, Austria before relocating to Germany and production ran all the way to April of 1965. 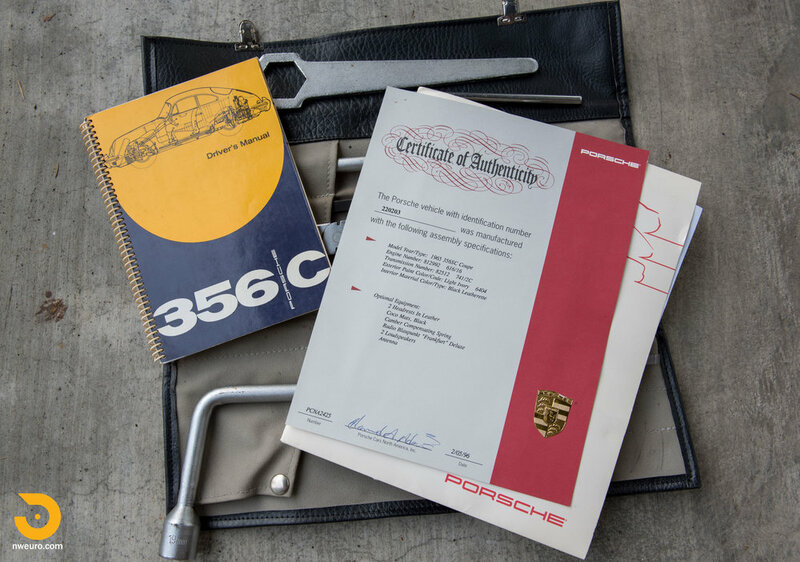 Over this time, the 356 models saw evolutionary revisions and upgrades in both comfort and performance. 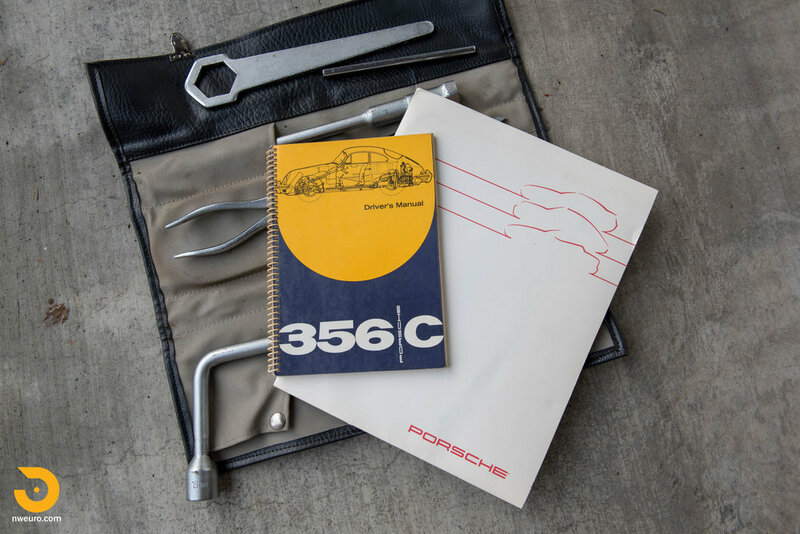 As Porsche was gearing up 911 series production, they pulled out all the stops for the outgoing 356 model. 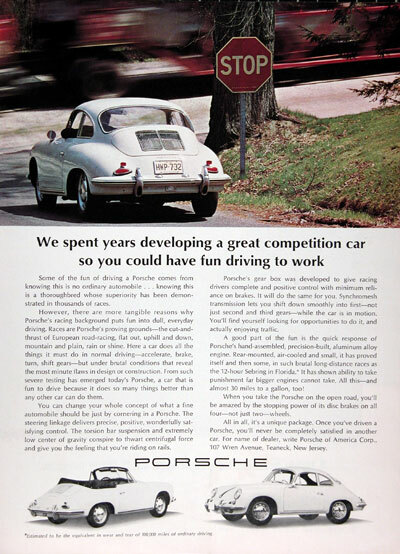 In addition to the “C” series updates; notably disc brakes all around - the “SC” specification provided the most powerful (outside of four-cam Carrera race engines) pushrod 4-cylinder motor to date for the 356 line, producing 95hp. 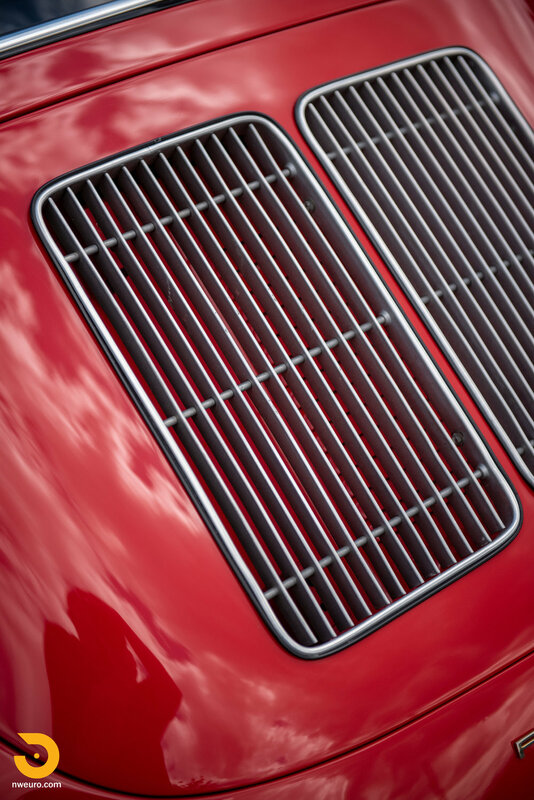 The 356 SC provided high levels of performance in 1965, and remains a treat to drive today. The car here was sold new by Competition Motors in Culver City, CA to Mr. Vahe Keshishia on November 26, 1964. 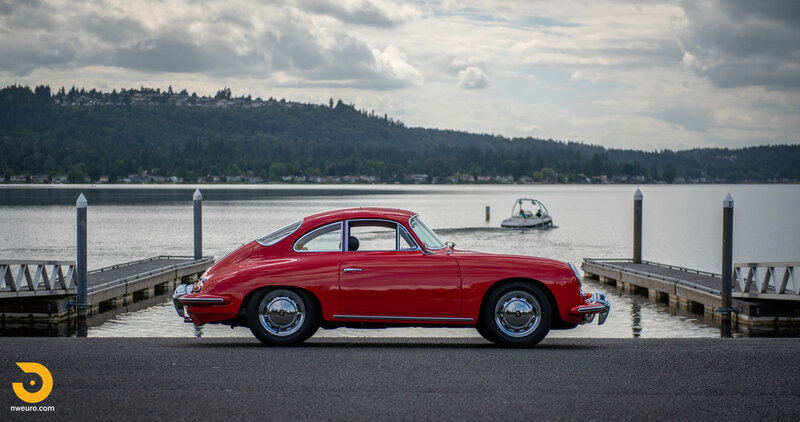 This 356 has been a West Coast car all of its life per the understood history. 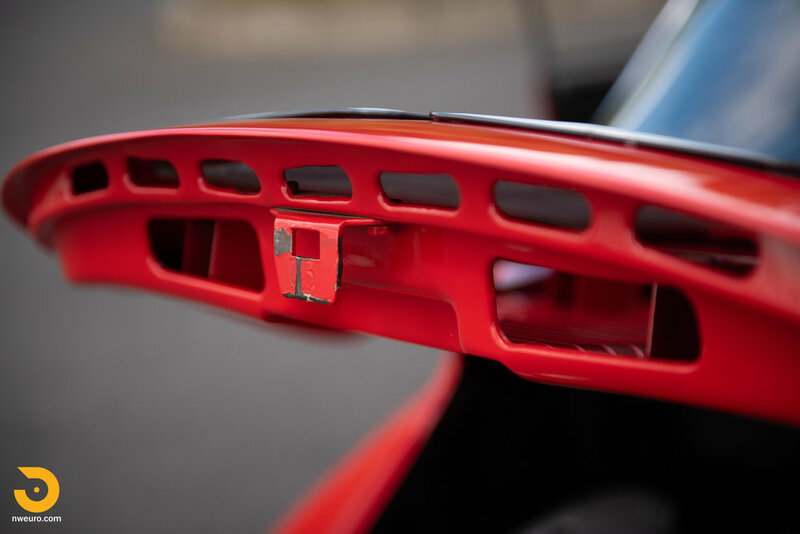 The car was owned by Thomas and Bobbie Adams in Portland, Oregon for many years until 1999 when acquired by the current family after a multi-year search. 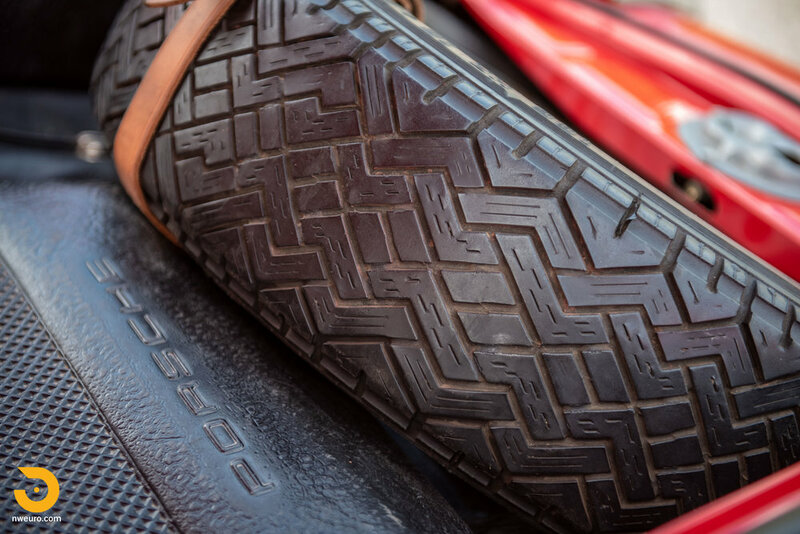 Most recently, the car has had single family ownership in Washington State for almost 20 years, with careful summer time use and maintenance. The 110K miles showing on the odometer are believed to be correct. 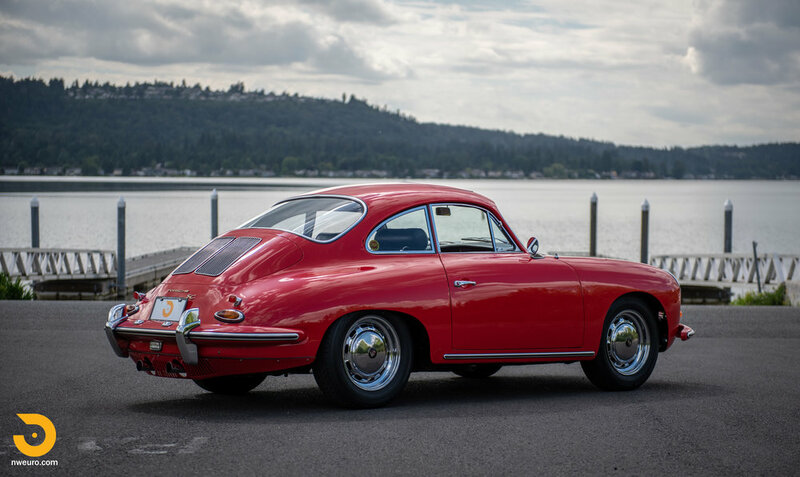 This 356 SC benefits from an older high-end driver restoration approximately 20 years ago. 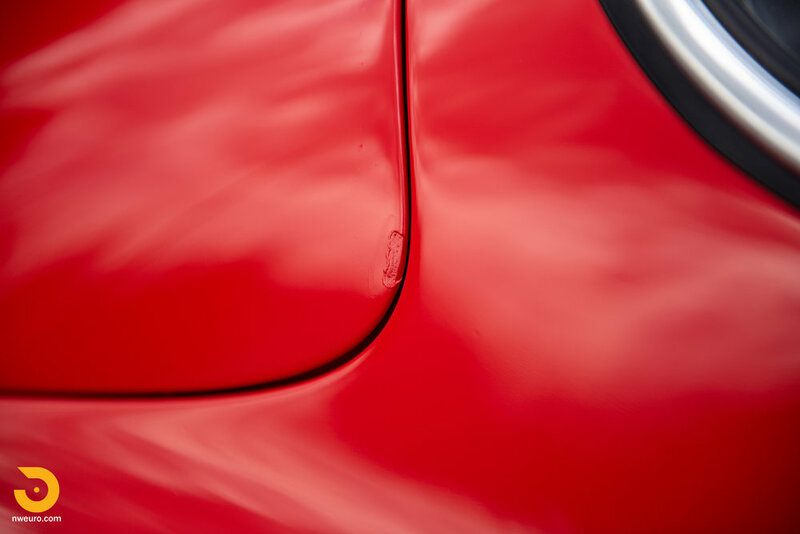 During this process, the car was painted Signal Red (originally the car was Light Ivory) – a correct 1965 color. 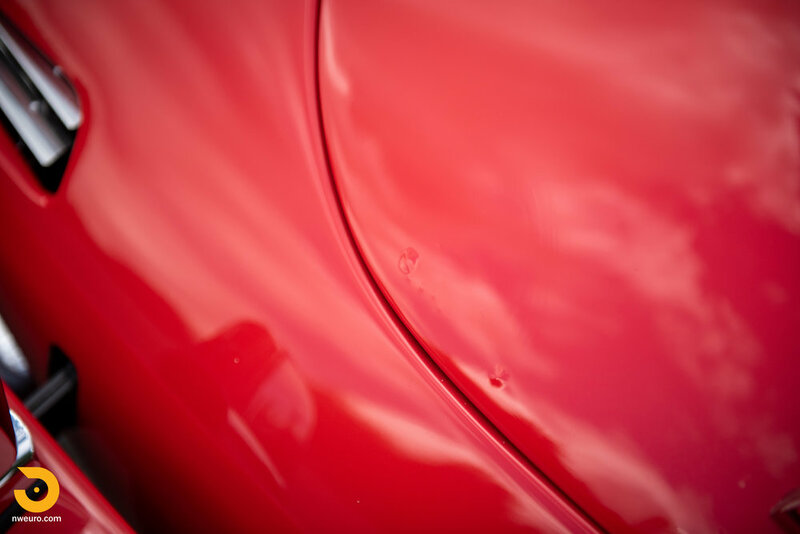 The body panels are all very straight with decent gaps throughout, and only a handful of minor blemishes. 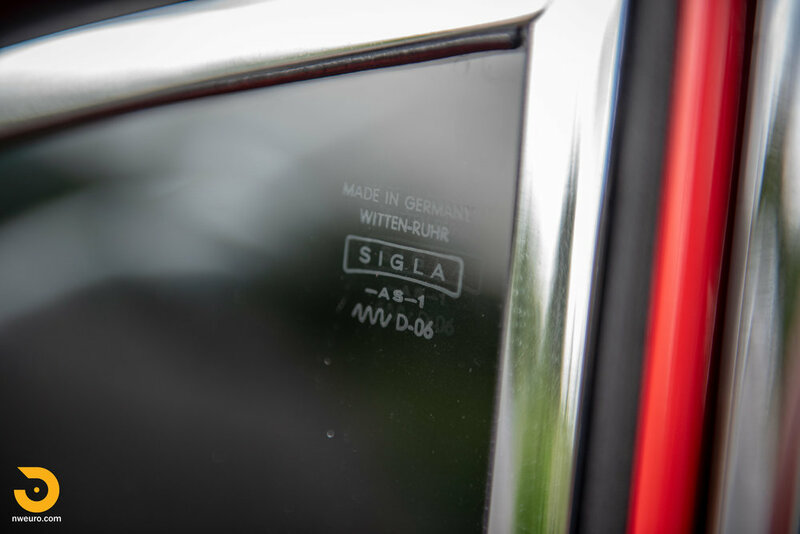 The trim and rubber are all clean and highly presentable while all lenses are free from cracks or major flaws, and all glass is original, including the Sigla windshield. 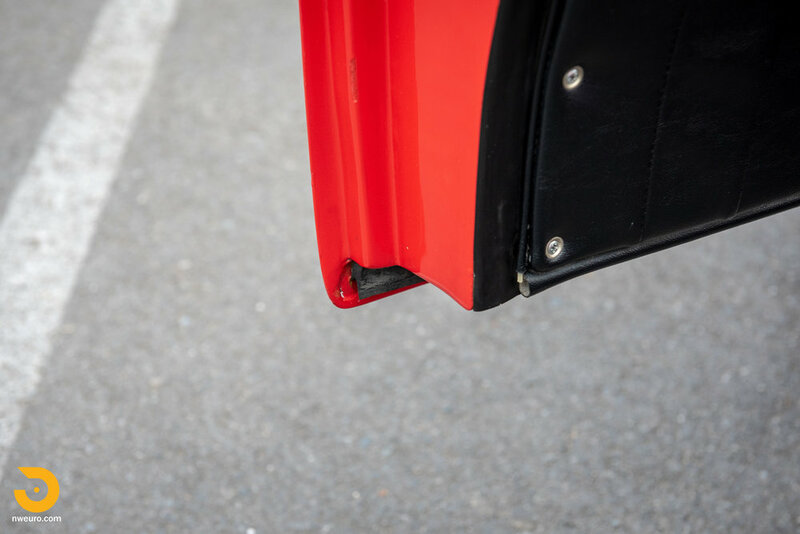 A Carrera look muffler skirt was added during the restoration as well. Although the records are not present for this restoration work that predates current ownership, one can see it was done to a high standard for the era, and has aged well. The engine, drivetrain, braking system, and suspension appear to have been all rebuilt during the restoration process. 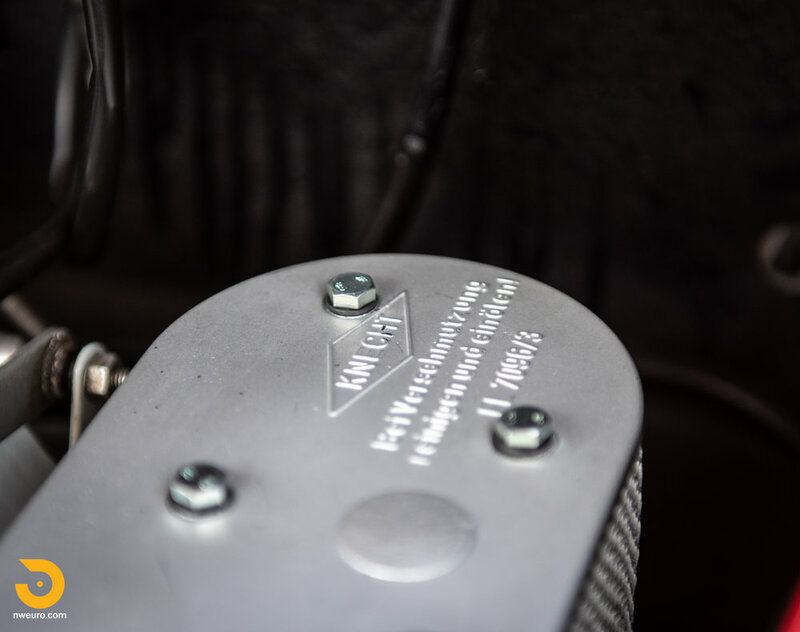 The engine starts easily cold or warm, and emits no smoke. 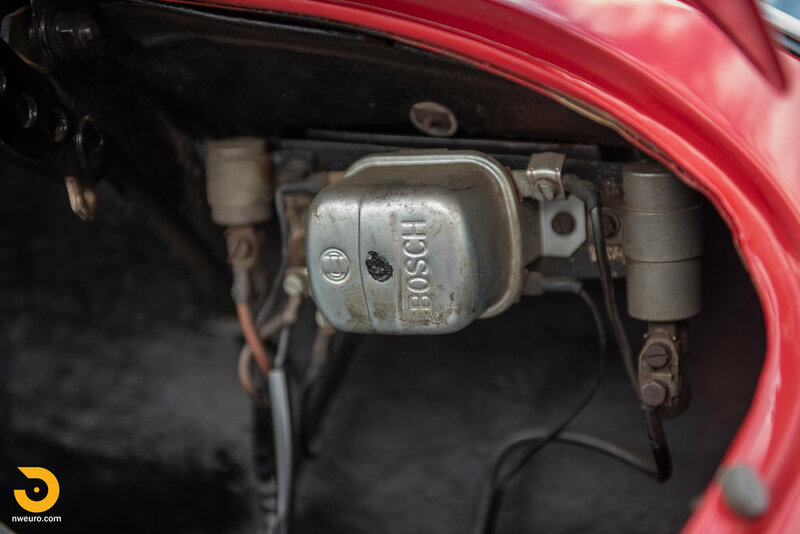 The engine pulls smoothly through the rev range, with no hesitation, or hiccups – the Solex carbs have been fully rebuilt as well (removed for photographs are modern air filters for regular use if desired). 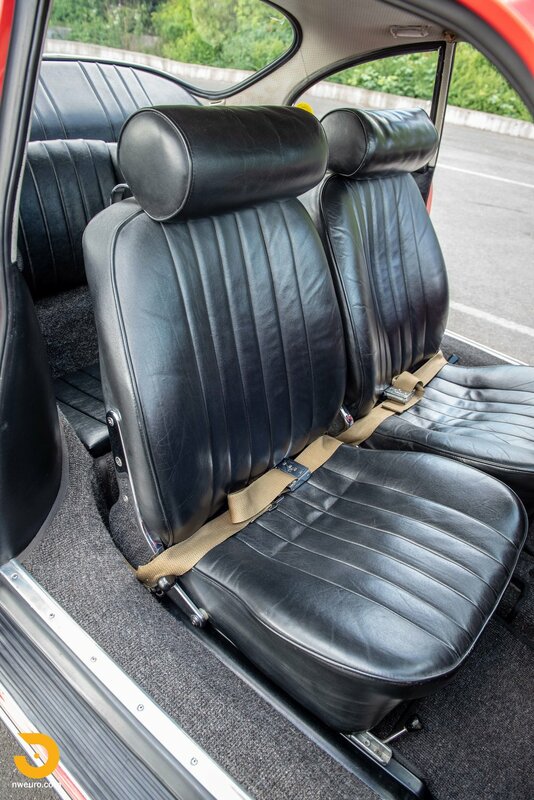 The interior was fully refurbished and all new weather-stripping, felt seals, window channels, etc. were fitted during the restoration. Square weave carpets are crisp, door panels and door hardware are in excellent condition, gauges are clean and in full working condition. The sunroof works smoothly with the electric switch, and the headliner condition is good. The painted dash is in excellent condition, and brings a smile when you slide into the driver’s seat. 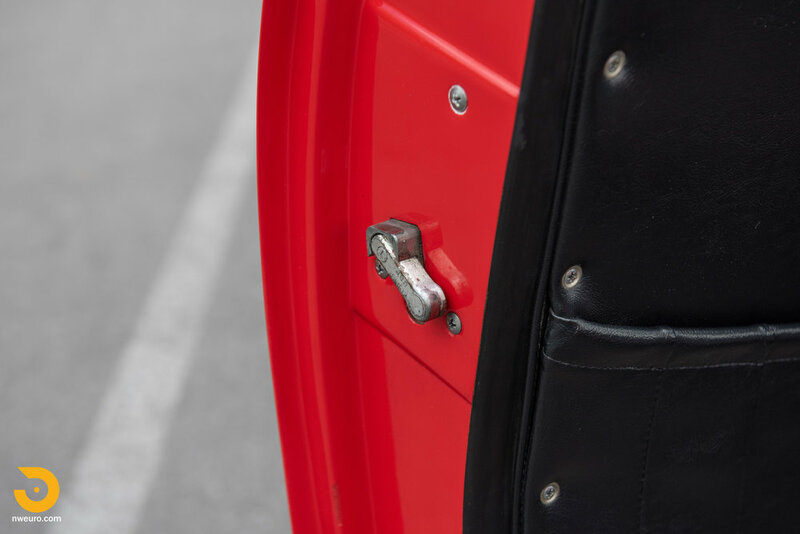 The front trunk area is tidy with the plastic liner in great condition, with a date coded (8/63) spare wheel/tire, the original jack, and complete toolkit all present. A newer battery (6V) was recently fitted during recent maintenance per records. Driving this car is a treat – it is fully sorted and ready for weekend touring. 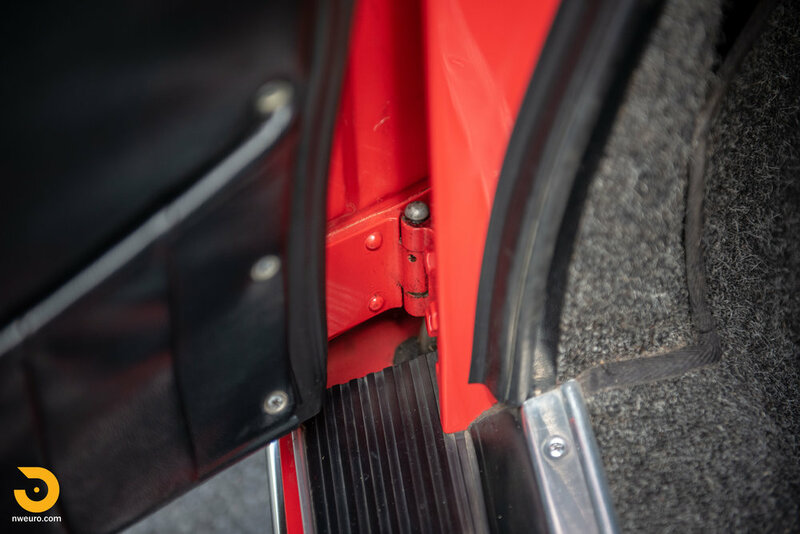 The 4 speed manual transmission shifts smoothly and precisely, and the brakes engage with purpose and stop the car with no pulling. 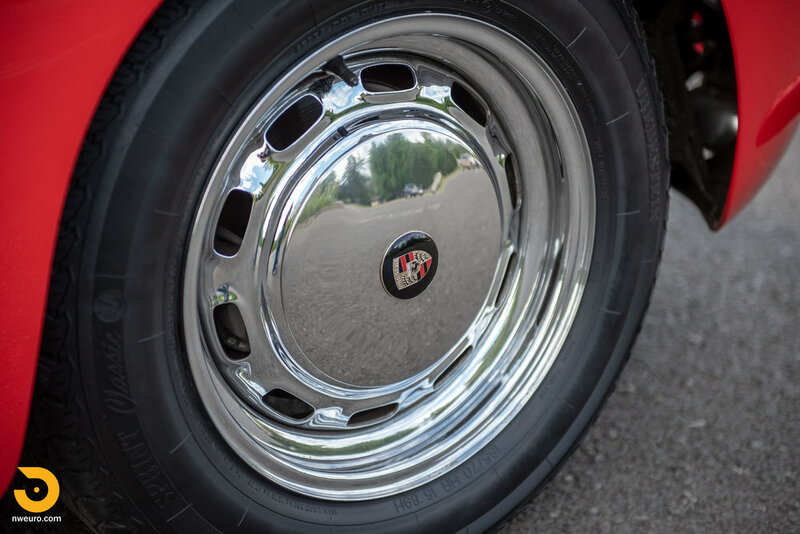 It sits on Porsche steel 15” wheels (widened to 5.5” all around, with date codes from 1965-1970) in chrome finish with brand new Vredestein Sprint Classic 185/70R15 tires. 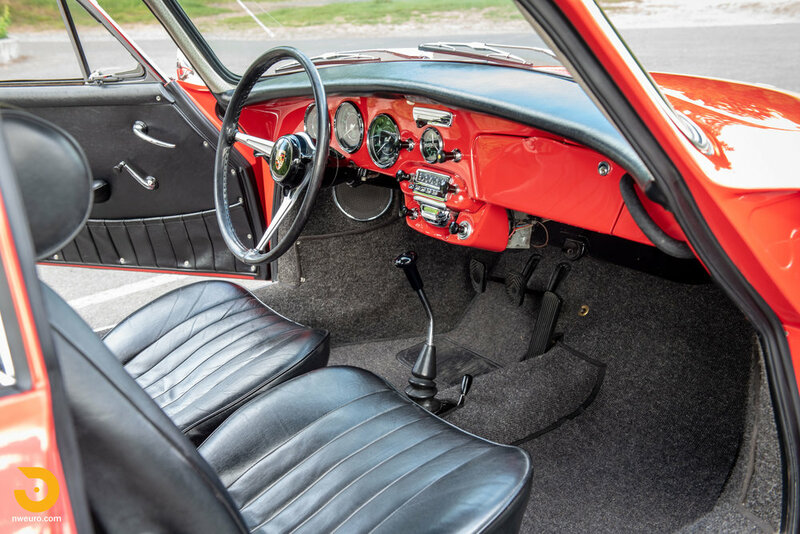 Showing 110K miles on the odometer, this numbers matching, sunroof equipped, 1965 Porsche 356 SC is offered with factory jack, spare wheel/tire, owner’s manual, original tool kit, records back to 2004, plus Porsche COA. 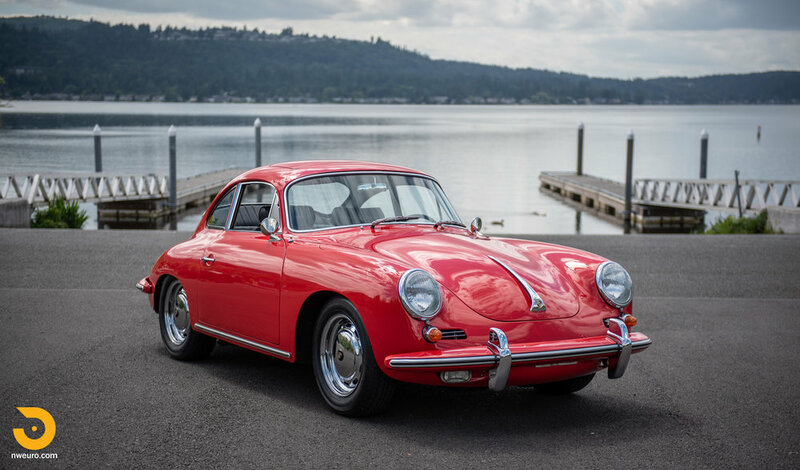 Please call Jason at 206-355-7727 for more information on this 1965 Porsche 356 SC for sale.